1. It appears that we may have received our first legitimate press for TimberBrit. 2. Italian dudes discover G Spot via Ultrasound. It turns out, not all women have G Spot tissue, which could be why only 7% of woman achieve orgasms vaginally…. so don’t feel bad if you’re one of the 93% who can’t…..
3. And, even if you have one, you could always have your G Spot injected to increase the tissue size. Yeeeeeeeesh. 5. Tampires Tampons… yeah, just watch it. 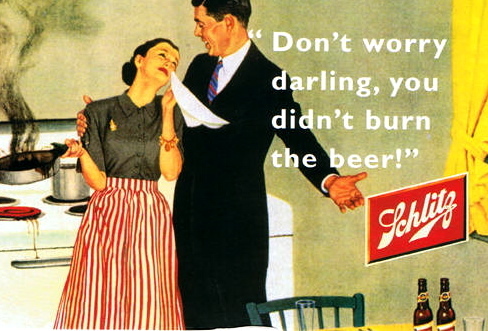 And a little bit of Misogyny-Vintage Style….. This entry was posted in G Spot, Tampire Tampons, The Rule of Thumb, TimberBrit. Bookmark the permalink. It also makes you…… oh ,wait….